There are certain major business events that require a good amount of planning due to the amount that it would cost you. These can include any major equipment upgrade or the replacement of factory components in the production line. In cases like this, you need to be able to plan for them at least a year ahead. For projects requiring really large capital outlays it would even be better if you can plan for them three to five years in advance. This way, you can be sure that the money that you need to be able to undertake the upgrade or replacement is there. At the same time, careful planning helps you avoid missing out on great investment opportunities for your business simply due to lack of funds. Avoid having to scramble for a loan when faced with unavoidable expenses by factoring foreseeable costs in as early as possible. As a business, you need to be able to keep good track of every spend. Ideally, you should have a credit card that you only use for the business. The great part about credit cards is that you get issued statements that categorize various expenses. This allows you to immediately see which expenses relate to specific business activities. At the same time, make it a habit to write down all expenses related to your business trips, lunches and coffee meetings. Doing so would allow you to remember all the expenses that you have made, which you can use for tax write-off purposes. All your financial activities in the business must be recorded correctly every time. This is especially critical when it comes to your bank deposits. Business owners deposit revenue from sales, cash infusions from personal savings, or loans into their accounts. Unfortunately, there are cases when these deposits are erroneously recorded as income. Such an error may cause a business to pay more taxes than they should. 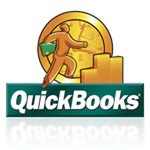 To help you keep a records more easily, you can use an Excel spreadsheet or even an accounting software like Quickbooks. Remember these tips and you should be able to manage and maintain your company’s finances well. 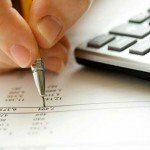 If you are too busy with your business’ day to day operations, you can hire a bookkeeping specialist for help. This way, you can be sure that you are always on top of your company’s financials. Nice and informative article. Thanks for sharing the tips with us. The article was a great help to me. It’s interesting that running a business can require so much paper work! It makes sense that it would be annoying to keep track of. I can see why businesses would rely on professionals to handle it for them. A friend of mine is running a business, but he’s been having a hard time with taxes. It makes sense that he would want to get bookkeeping services! That way he can have someone else handling the taxes for him.